There’s no better feeling than getting up to a bright and beautiful morning after a good night’s sleep. Even so, our bodies have a regular routine that lets them generate enough energy to guide you through the day. In most cases, what you eat determines your energy levels for the day. There has always a big controversy over what one needs to eat in the morning so that they can properly start their day. Some advocate for a high protein diet while others are okay with just milk and cereals. However, we tend to think that it’s a mix of both. Below is a list of 11 healthy foods that will make you feel energized throughout the day. Of all the vitamin-infused foods, berries make it to the top of the list because they come in diverse varieties. The different types of berries include strawberries, blueberries, raspberries, and blackberries. The thing that makes berries a great choice for breakfast is that they have low sugar levels compared to the majority of fruits. They also have more fiber content. Furthermore, berries possess antioxidant properties that make them a good choice for morning detox. Apart from berries, you can also take any other fruit in the morning. Our body tissues are made up of cells that get damaged over time. Fruits contain enough vitamins to help your body repair itself in the morning. Moreover, fruits contain sufficient levels of natural sweetness and glucose which make them a healthier choice when compared to normal sugar. Fruits also contain fiber and potassium which are both essential nutrients for your body in the morning. As much as many nutritionists will emphasize on animal meat as one of the best protein sources, legumes are the primary source. This is mostly because legumes are obtained from plants which in actual sense manufacture the protein that is consumed by animals. Furthermore, legumes have an essential protein that the body uses to repair damaged tissues. Eggs have always been criticized for their high cholesterol levels especially in past studies. However, recent research shows that taking eggs in enough amounts provides you with high levels of protein that are essential for body growth and tissue repair. Eggs also help increase good cholesterol in your body. In addition, eggs make you feel full for longer. Hence, you are less likely to get hungry during the day. 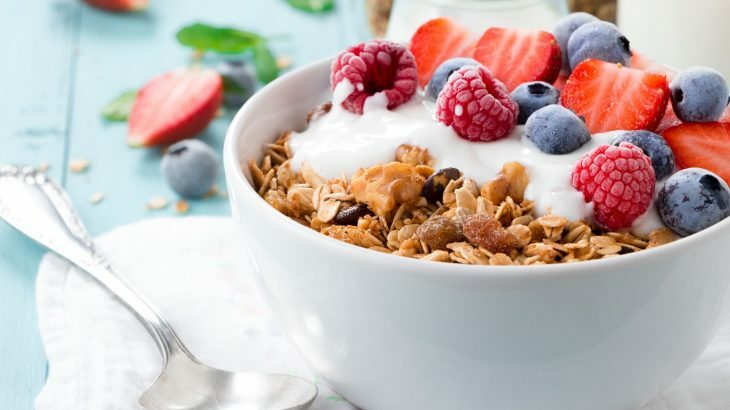 Unlike other flavored yogurt and milk products, Greek yogurt contains whey and other liquids from milk curds, making it very creamy and rich in protein. This type of yoghurt helps to enhance the feeling of fullness and increase your body’s metabolic rate. However, it’s not advisable to take Greek yogurt on an empty stomach since it may form hydrochloric acid that can lead to stomach upsets. If you are a cereal lover, oatmeal is the way to go. This is because the food is made from ground oats that have a high and unique fiber content referred to as glucan. This is the kind of fiber that promotes a feeling of satiety and reduces bad cholesterol in the body. Nuts are a healthy choice for your breakfast because they make you feel full for longer. They also help to prevent weight gain. Even though nuts may contain high levels of calories, our bodies may not necessarily absorb all that fat. Typically, the body will only absorb about 129 calories from a 1-ounce serving of almonds. Eating nuts in the morning will also help keep your heart healthy. 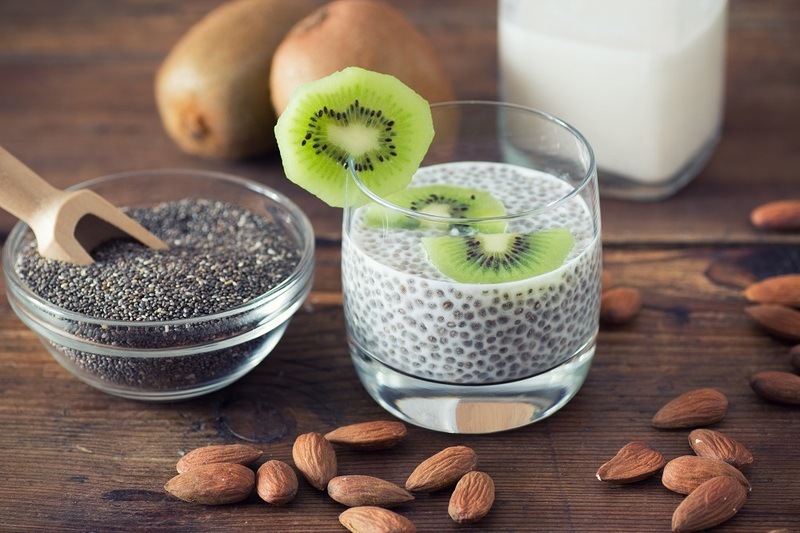 Chia seeds are a good accompaniment with fruits and Greek yogurt. They are known to be the best fiber source as compared to the majority of foods on this list. 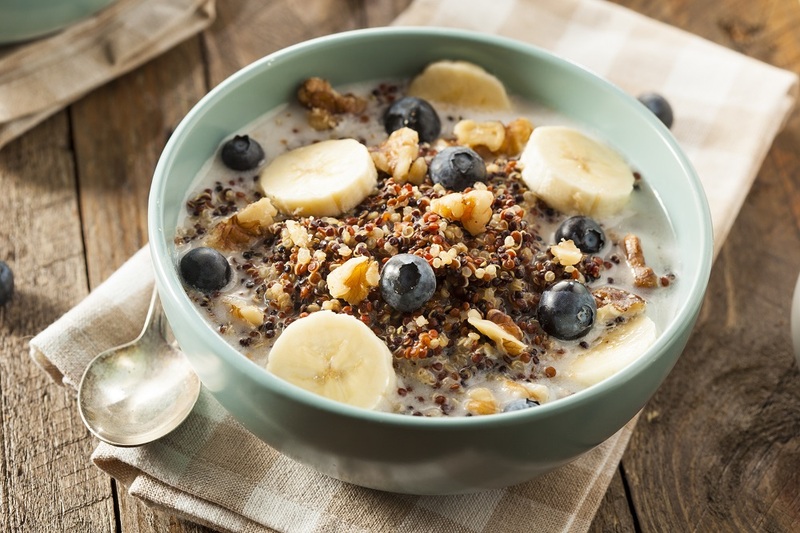 To put that into perspective, a 28-gram serving of chia seeds, gives your body an impressive 11 grams of fiber. The viscous fiber helps your body remain full for longer and facilitates healthy metabolism. Green tea is one of the healthiest beverages known to man. The tea has caffeine content that helps to make you become more alert and improve your moods. This tea also helps you to improve your metabolism rate and eating habits. Just as the name suggests, a protein shake is basically ground protein derived from various sources. It is essential for body growth and tissue repair. The high protein content in the shake also makes you feel fuller for longer. 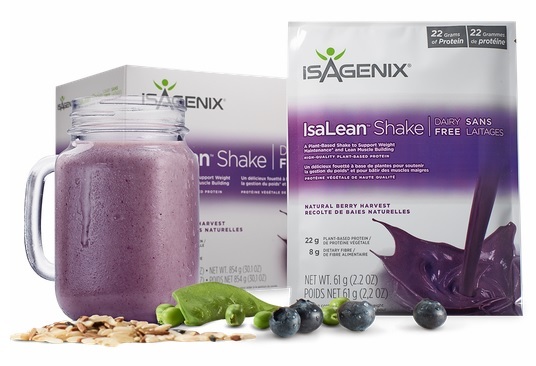 Isagenix’s IsaLean shake is available in a range of flavors, contains 22 grams of high quality protein and tastes amazing! Cottage cheese creates the same feeling of satiety that is found in eggs. In fact, it has 25 g of protein. Cottage cheese also has conjugated linoleic acid that helps those trying to lose weight to remain healthy. What you eat in the morning ultimately determines how you spend the rest of the day. Take something energetic, and you will be productive throughout the day. You can start by including some of the foods on this list in your diet. Blog, Health Benefits antioxidants, healthy eating, Mindful Eating, Morning Routine, Superfoods.